Hey all, quick post today about Blogger comments and why I haven't been replying to your comments on my blog! Thanks to GDPR, Google had to get explicit permission from anyone receiving email from the Blogger platform that they wanted to be receiving that email. That included blog authors who "subscribed" long ago to getting emails from all of their comments, like me and probably a lot of you. They were supposed to have sent out an email after GDPR went into effect in May asking us if we wanted to continue to receive our comment emails. 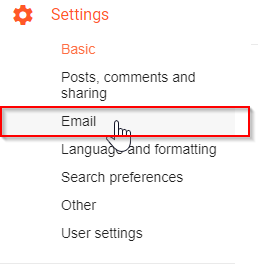 I didn't get that email, and stopped receiving notifications of your comments - which is why I haven't been replying to any of you! 4. 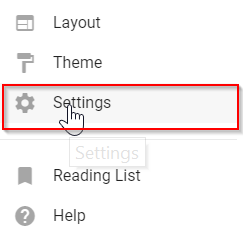 Click "Save Settings" in the upper right corner to commit that change to your blog. Do not just remove it and re-add it without saving in between. Awesome! I looked for a workaround a few weeks ago when I first noticed this happening but I was unsuccessful. Glad you posted such a simple tutorial! Creating simple tutorials for non-techies is probably 25% of my job, haha. Glad my skills are useful! I think you just made a whole lot of bloggers happy again! Thanks for showing all of us this! Ummm...thank you! I was struggling with this issue too. Thank you!! I had no idea why I wasn’t getting notifications anymore but it coincided with switching to the new theme so I was thinking of switching back. Thanks for the fix! Thank You! I wondered why I was not getting the notifications. THANK YOU! I've missed so many comments because I couldn't get it to work! I was just sent here by Leah from Confessions of a Dressage Barbie, and wanted to say THANK YOU!!!! And now I can't wait to follow your blog too! Glad to hear it! Looking forward to following yours too!